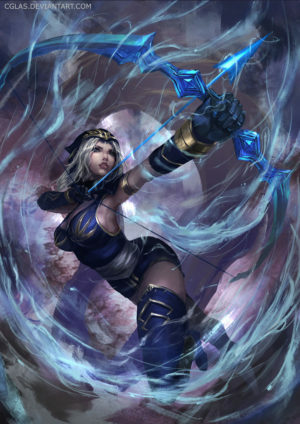 With each arrow she fires from her ancient ice-enchanted bow, Ashe proves she is a master archer. She chooses each target carefully, waits for the right moment, and then strikes with power and precision. It is with this same vision and focus that she pursues her goal of uniting the tribes of the Freljord and forging them into a mighty nation. 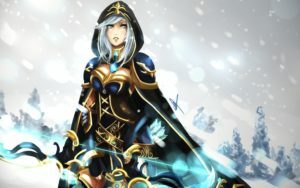 As a child, Ashe was always a dreamer. She marveled at the colossal, abandoned fortresses of her ancestors, and spent hours by the fire listening to tales of the Freljord’s fabled champions. Most of all she loved the legend of Avarosa, the renowned Queen of the once magnificent and united Freljord. Though her mother chided her foolishness, Ashe swore one day she would join the scattered and warlike tribes of the tundra. She knew in her heart that if her people would stand together once more, they would reach greatness again. 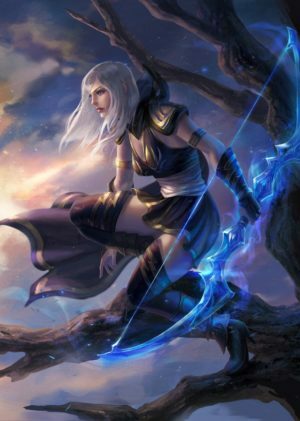 When Ashe was only fifteen, her mother was killed while commanding the tribe on a brash raid. 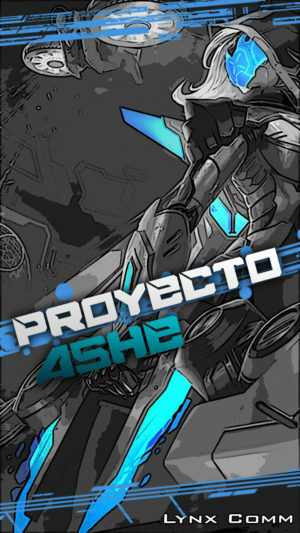 Suddenly thrust into the role of leader, Ashe made the difficult decision to follow her childhood vision instead of seeking the revenge she craved. 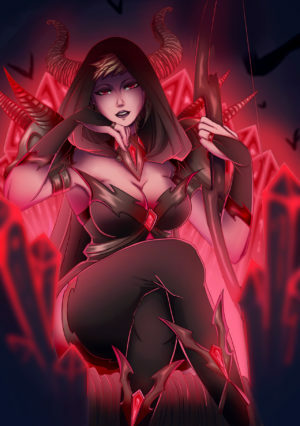 She spoke passionately against her tribe’s demand for retribution, declaring the time had come to put blood feuds aside and broker a lasting peace. Some of her warriors questioned her fitness to rule and soon hatched a treasonous plot to kill the young leader. 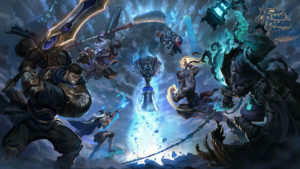 The assassins struck while Ashe was on a routine hunt, but their plan was interrupted by the warning cry of a great hawk. 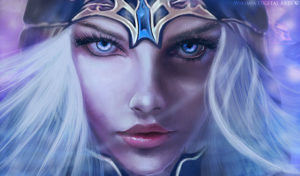 Ashe looked back to see her tribesmen approaching with swords drawn. 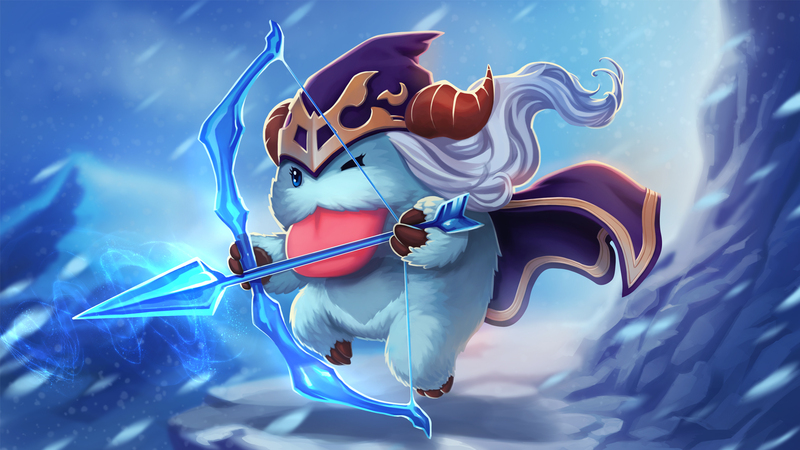 Outnumbered and overwhelmed, Ashe ran for hours. She found herself deep in uncharted territory, her weapon lost in the chase. 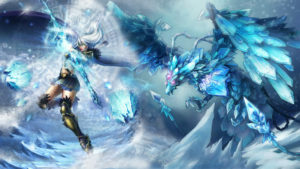 When she heard another cry from the hawk, Ashe put her faith in the strange creature and followed it to a clearing. There she found the bird perched on a pile of stones – an ancient Freljord burial cairn. With a last glance at her, the hawk screeched and flew away. 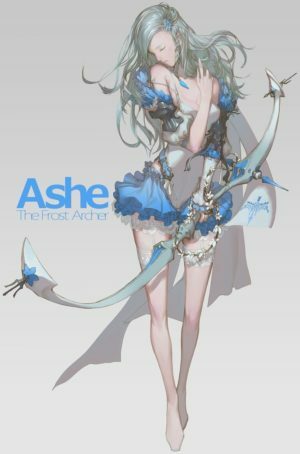 Approaching the mound, Ashe felt her breath turn to frost and an unnatural cold chill her to the bone. The stone at the top of the cairn was marked with a single rune: Avarosa. The assassins burst into the clearing. 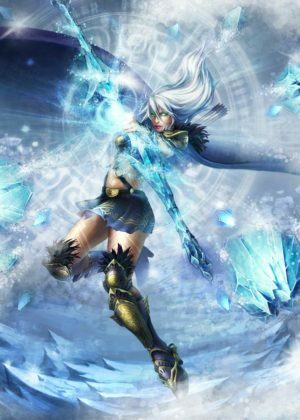 Ashe lifted the runestone from the cairn to defend herself, revealing something hidden underneath: an ornate bow carved from ice. 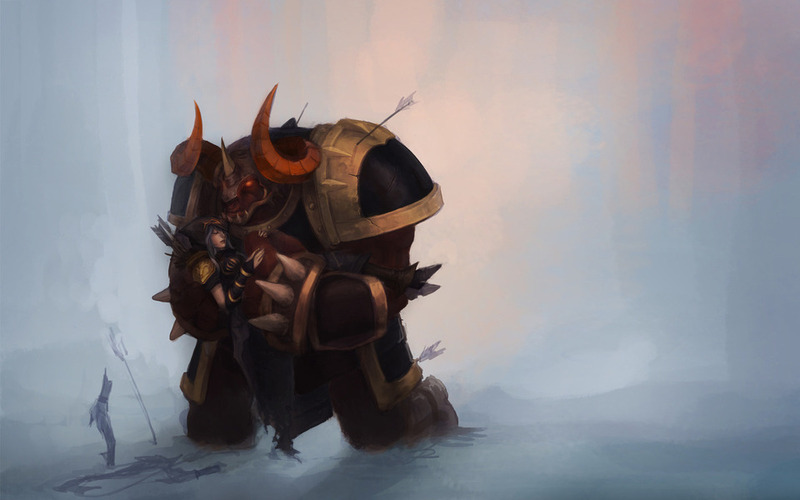 She grasped it, crying out in pain as frost formed on her fingers, and tore the bow from its resting place. 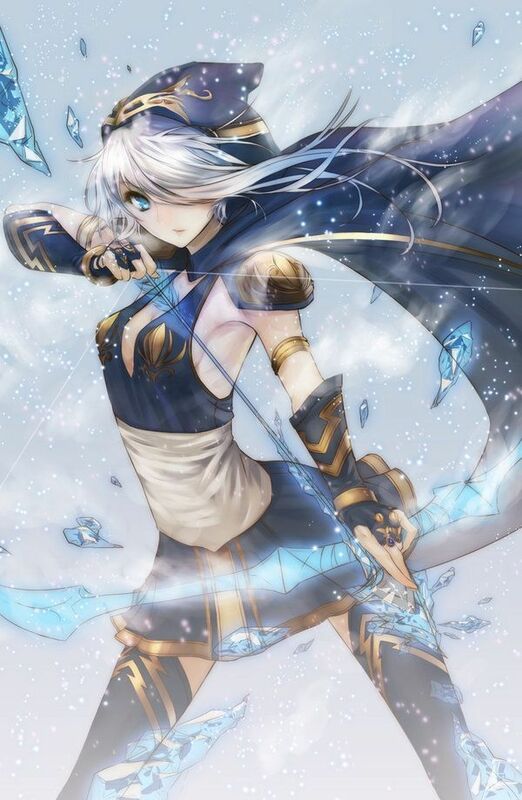 Cold flowed from the enchanted weapon into Ashe, awakening a tremendous power that had always lived within her. Ashe turned to face the assassins. She drew the bow, and by sheer instinct, willed arrows of pure ice to form from the cold, crisp air. With a single frozen volley, she ended the insurrection. Carefully replacing the cairn stone, she gave thanks to Avarosa for her gift, and returned home. 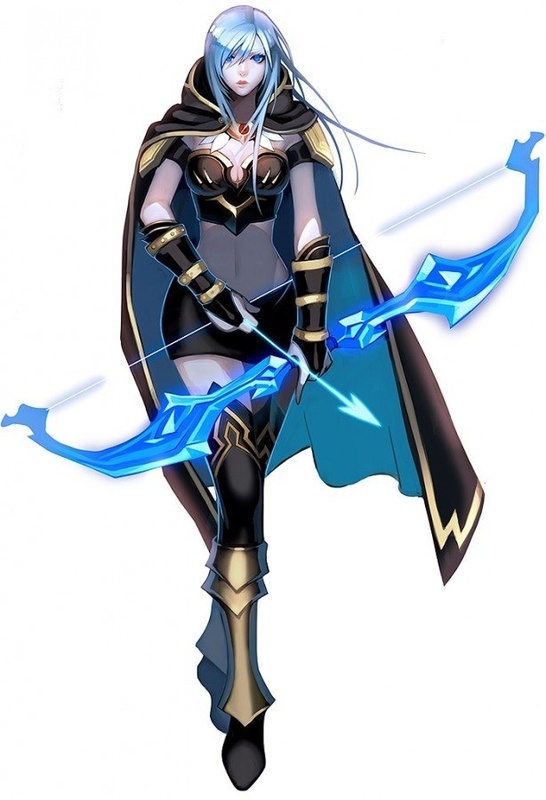 Ashe’s tribe immediately recognized the legendary weapon in the archer’s hand as a blessing from the ancient Freljord queen herself. 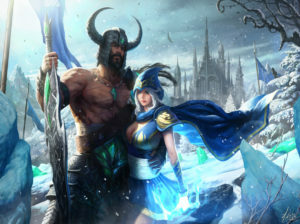 With Avarosa’s bow and her vision of peaceful unification, Ashe’s tribe soon swelled, becoming the largest in the Freljord. Now known as the Avarosan, they stand together with the belief that a united Freljord will once again become a great nation.